In 1977, the day after his inauguration, Harvey Milk gave a stunning speech outlining his vision for San Francisco’s future, including this call to arms: “Let’s make no mistake about this: The American Dream starts with the neighborhoods. If we wish to rebuild our cities, we must first rebuild our neighborhoods.” Twenty-five years after that speech, inspired by his words, the GOOD community is coming together to revive and celebrate the spirit of neighboring. I’m a member of GOOD, the worldwide community of people who give a damn. We are pragmatic idealists working towards individual and collective progress. And today, I am excited to share the first holiday of the GOOD community: on April 27, we celebrate Neighborday all around the world. Full disclosure: I’m not only a member of GOOD, I also work as CEO at GOOD HQ, the organizing body for the GOOD community. We started thinking about Neighborday a few years ago as we prepared our Neighborhoods issue of GOOD magazine. Years before that, Robert Putnam put society on notice with Bowling Alone, drawing attention to the potential impacts of an increasingly digitized (and atomized) society. We echoed his questions: might the increase in online connectivity lead to a commensurate decline in offline connectedness, and will that directly impact our neighborhoods? Studies indicate that it does: a recent Pew survey found that roughly 60 percent of Americans don’t know all of their neighbors. And, according to Nextdoor, a neighborhood community social network, just 16 percent of us trust all of our neighbors and a quarter of us barely speak to our neighbors. Six years ago I moved to Benedict Canyon where I knew only a handful of people who lived on the block. The folks at the other end were just other cars to get by on the way to work. Many of us probably moved there for the serenity and privacy, but we didn’t bargain for a reality where we wouldn’t know the names of the people we’d pass by each day, let alone the numbers to call when our dogs are lost. As an experiment, I set out to organize a get-together. I dropped off flyers. Neighbors came. We barbequed. We drank beers. We made friends. It was awesome. People had been living on my street for decades without knowing each other. Neighbors were working on similar projects without knowing each other. But most importantly, the reality was that my neighbors were cool people, and taking the short amount of time to meet them was well worth the effort. Can we take this concept global and leverage technology to build stronger offline connections? At GOOD, we think so. On April 27, we will do just that, with thousands of Neighborday events happening in nearly 200 cities all around the world. If you can’t participate in Neighborday on April 27, don’t sweat it: this holiday, like any good holiday, is about celebrating values we aspire to the other 364 days of the year. Every day is good day to meet your neighbor. Join us at www.good.is/neighboring. 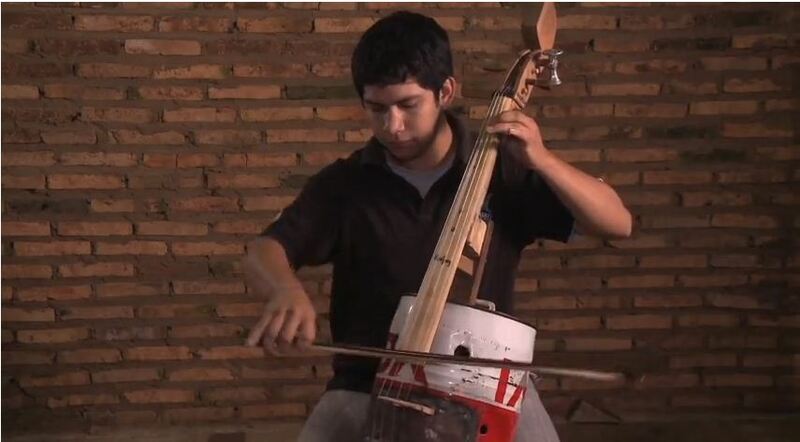 “Los Reciclados” — “The Recycled Orchestra” — is a youth orchestra in Cateura, Paraguay, whose instruments are made out of the very trash that the town is built on. 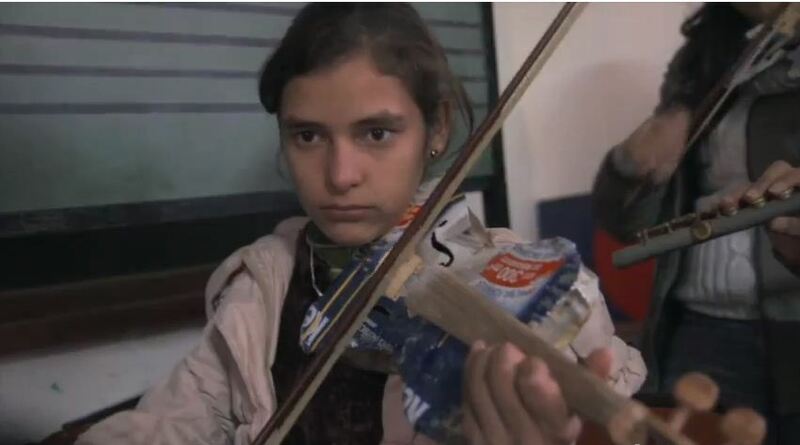 Due to the resourcefulness of these garbage pickers, an orchestra came together, and they play violins, cellos, and other instruments artfully put together from trash. A concert they put on for The Associated Press also featured Frank Sinatra’s “My Way” and some Paraguayan polkas. Los Reciclados de Cateura is now an independent orchestra and performed in Brazil and Colombia before planning a world tour with input from fans on a thriving Facebook page. The orchestra will play this year in Argentina, the US, Canada, Palestine, Norway and Japan. Chávez has also received an invitation to play at June’s Meltdown festival in London. “My neighbors said she would be born with mental problems because I was so old, but an artist was born!” Rios said, her voice breaking with pride as she brushed away tears. 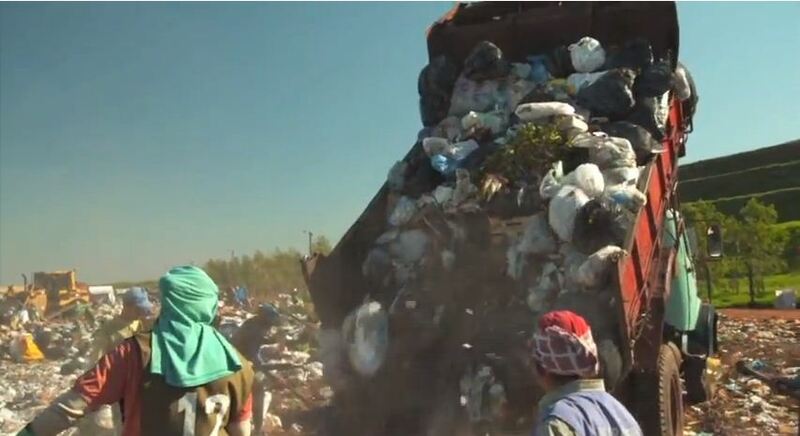 As you can imagine, hope for the future is hard to find when you’re growing up in a place where children have to work combing through mountains of trash each day. The young people of the community often become addicted to drugs and alcohol due to the insane conditions around them. The project was born in 2006 when Favio Chávez, 37, began work at the landfill as a technician, helping recyclers to classify refuse. Over time he started to get to know many of the people that lived there. He looked around and saw the struggles that the people there were having to face day after day, especially the children. But his passion for music took him home each weekend to the small town of Carapeguá, 50 miles from Asunción, to conduct a youth orchestra. After he brought the group to Cateura to perform, the gancheros asked Chávez if he could teach music to their children, many of whom would spend afternoons playing in the rubbish as they waited for their parents to finish work. But as the months passed, Chávez – a longtime fan of Les Luthiers, an Argentinian band that uses homemade instruments – realised the ever-growing number of children under his tutelage needed to practise at home if they were to progress. “A violin is worth more than a recycler’s house,” says Chávez. “We couldn’t give a child a formal instrument as it would have put him in a difficult position. The family may have looked to sell or trade it. Enter Cola. That’s Nicolas Gomez, nicknamed Cola, and he has worked at the Cateura landfill for a long time. He picks through the trash items that have a bit of hope of becoming useful again and then gathers them up to take back to his workshop. He had to drop out of school when he was younger to go to work breaking rocks at a quarry but over the years he developed a great skill on his own using the workshop at his home to make discarded items useful again. Cola had never even heard of Mozart but when Favio brought him a normal wooden violin and asked him to make one out of trash that worked the same, he was up to the task. He took measurements from the regular violin and studied it closely. He did his best crafting the landfill violin out of the most promising materials. Then he gave the violin to Favio to be played and… it sounded good! And through trial and error he made more adjustments and the sound got even better. Cola hadn’t simply made something in the same shape of a violin, he had made a beautiful sounding instrument. Now any child in Cateura that wanted to play music could have their own instrument. Favio’s music program grew from there, and it’s changed many of the kids’ lives. The music program gives them something positive in their lives and a way to work through the extreme issues they face living in such a place without needing to turn to drugs and alcohol. Now with the aid of colleagues, Chávez – who has been teaching music since he was 13 – uses the instruments to give classes to around 70 children and also directs weekly orchestra practice. But he has a goal that goes beyond music. Chávez believes the mentality required to learn an instrument can be applied more widely to lift his pupils out of poverty. There is no harder lesson about spaying and neutering your dog than the story of Mimi. 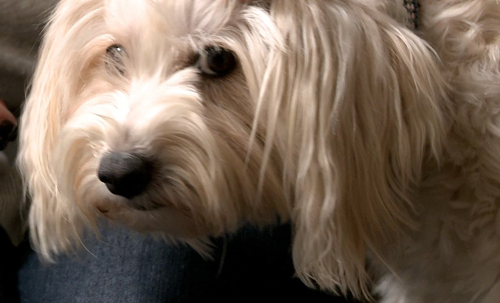 Mimi, an unspayed Maltese, suddenly became pregnant. 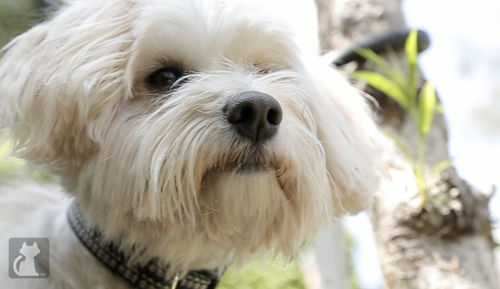 She was only four-years-old when the adorable, white fluffy dog was turned into the shelter. Either her owners didn’t want to deal with the pregnancy, or couldn’t financially support her. Whatever the reason, she was abandoned and alone. Pregnant female dogs that come into a shelter have few options. For the understaffed and underfunded shelters, a pregnant dog is extremely costly. Often, the pregnant dog’s pups are humanely medically aborted to spare them the suffering that they’d have to endure if born into shelter life. It’s a grim beginning to existence at the shelter. When pups are born in the shelter, there is a greater probability of death from a variety of causes. Young pups can freeze to death on the cement floors, or catch a variety of diseases and illnesses, some as simple as a fatal cold. Luckily for Mimi, the shelter contacted a local rescue group, Dogs Without Borders, who found her a foster home, where she was able to give birth to and raise her puppies in a warm and loving environment. Foster mom Brandie took Mimi into her home, and within days Mimi gave birth to six beautiful puppies. Mimi had four girls and 2 boys, and all the pups look just like her. With a warm bed and a loving foster mom, all six puppies survived. Mimi was certainly one of the lucky ones. For eight weeks mother and babies bonded, snuggled, played, explored and blossomed together. After two months, Mimi’s pups were old enough to be adopted and being so cute, it wasn’t hard to find them homes. One by one each of Mimi’s pups found a loving forever home through Dogs Without Borders, and then it was Mimi’s turn. Today, Mimi is named Barley and she’s found a loving family to spend the rest of her life with. Barley’s new mom is Lacey, a teacher, and coming home has never felt so good as it is now that Lacey has sweet Barley to greet her at the door. Barley gets lots of love and always has the latest fashion and the coolest hair cut. Lacey says that Barley is the best dog in the world. Do you have a Tail of Hope? We’d love to hear it! 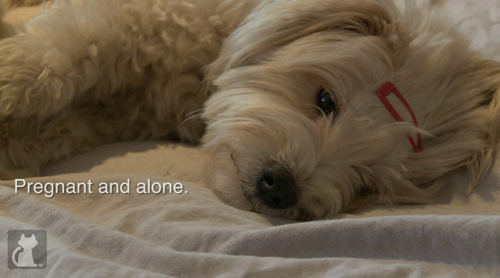 Visit us at thepetcollective.tv and tell us your story!